This ticket allows general access to Festival Gigante 2019 for 3 days from Thursday, 29th of August to Saturday, 31st of August at 17:30. 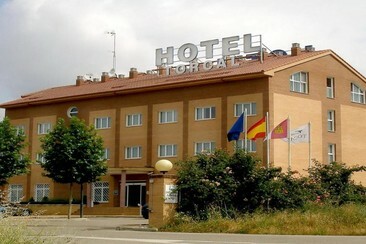 Hotel Torcal is located in Guadalajara on the left side of the N-II (from Madrid) and very close to the A2 highway (km. 50,5). The property has excellent connections with the surrounding villages and entertainment areas such as a golf course, archery green and a karts' circuit. It's also an ideal starting point to discover the "Black architecture", the jewels of the Romanesque, "Alto Tajo" and many other tours. At the hotel, you will receive nothing but a personalized, exquisite treatment that will make you feel at home. The rooms are modern and feature air conditioning, TVs with international channels, automatic telephones, Internet ADSL and full private bathrooms with hairdryers. That's not all, the hotel also offers excellent services including parking, bar and restaurant.